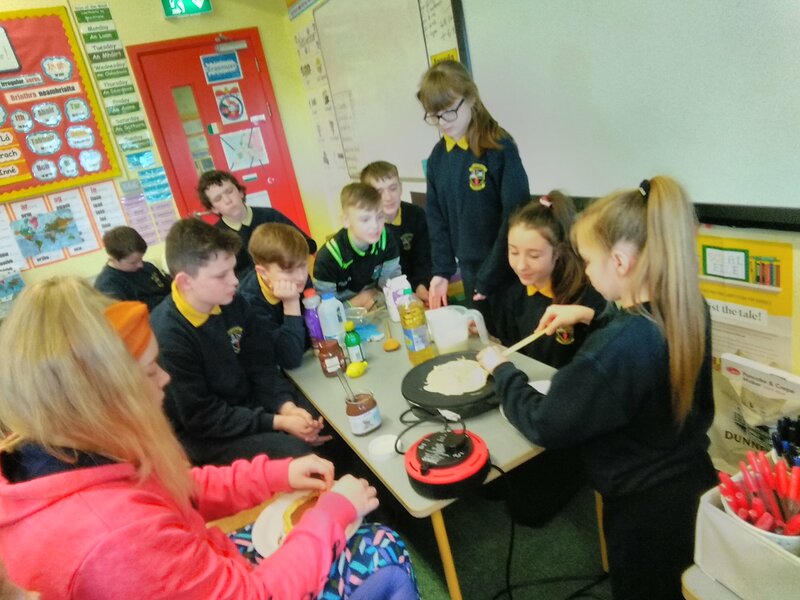 Student Lesson – Jessica – Pancakes: On Tuesday we made pancakes. Sheena brought her crepe maker. Sheena and Jessica made the pancakes, this was also their student lesson. We each got a turn to make a pancake. It was really fun and we hope we get to make them again! Confirmation: This week and next week is very important for six class. We are preparing to make our Confirmation next Saturday the 16th of March. We are going down to the church on Monday and Thursday to practice for the big day! 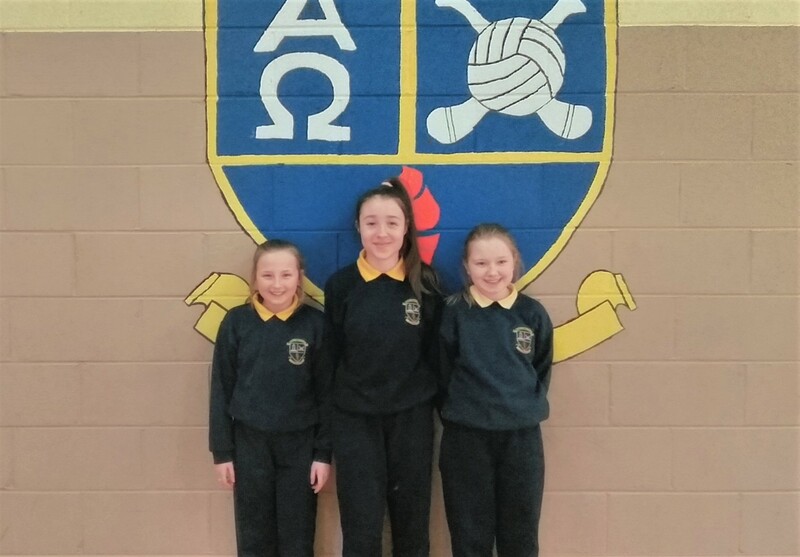 Spelling Bee: This Tuesday was the spelling bee competition.The spellings were really hard but Sheena, Katie and Eve were the last three left. 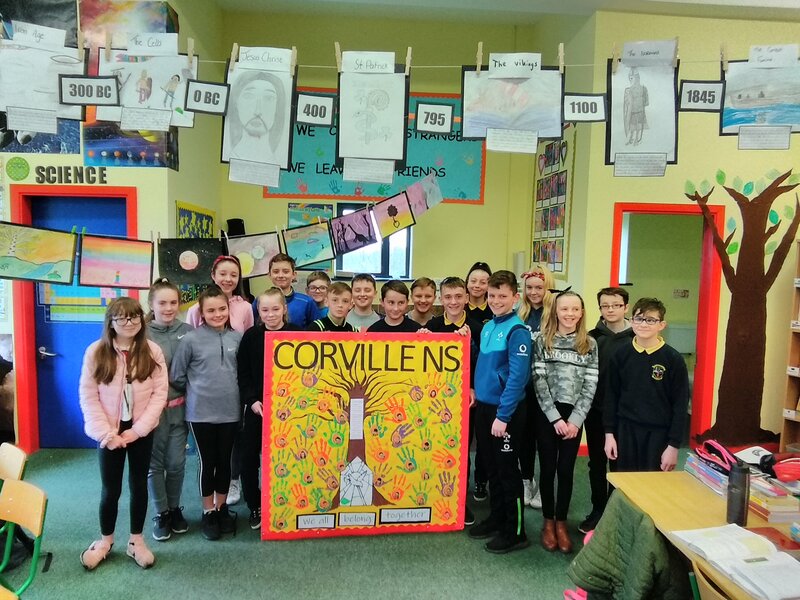 Sheena won and is going to Cashel to represent Corville next week. Blog post by Cathal and Katie.